The billionaire financier George Soros is to shut the Budapest office of his Open Society Foundation after threats from the Hungarian prime minister, press reports said last night. Mr Soros will move the charity’s office away from Hungary, as the Hungarian government speeds up its objective to pass a law giving it powers to shut the charity down. Before winning a third consecutive term in office this month, Viktor Orban demonised Mr Soros, accusing him of using his foundation to flood Hungary with Muslim migrants. A spokesman for the foundation did not respond to a request for comment. Since taking office in 2010, Mr Orban has been criticised by the European Union for refusing migrant resettlement quotas. In 2015 he built a 109-mile barrier on the Serbian border to stop thousands of migrants from entering the country. “We have a culture and, irrespective of what someone’s approach to God is, we call it a Christian culture,” he said after his re-election this month. Mr Orban’s Fidesz Party has said that the government’s biggest priority now is passing the “Stop Soros” law, which would force charities that work with migrants, such as the Open Society Foundation, to obtain government permits to carry out their activities. Mr Soros, who is a Hungarian-American Jew, has invested $400 million into Hungarian social programmes since 1989. Of the 50 charities funded by his foundation in Hungary, four work with refugees. In a campaign speech, Mr Orban promised to exact revenge on his opponents if he won the election. A spokesman for the Open Society Foundation has previously said that the government could use the new law to deny it permission to work in Hungary. The Central European University in Budapest, which was founded by Mr Soros in 1991, has said that it is determined to stay in Budapest despite government pressure last year that seemed designed to close it down. Charities including those funded by Mr Soros reported a dirty-tricks campaign by unknown operators in the run-up to the election, in which officials were secretly recorded at meetings with fake donors before the tapes were allegedly manipulated and published by government-friendly media in Hungary. On one tape, the words of a former Soros staffer were allegedly twisted to make it sound as though the billionaire had 2,000 staff in Hungary. 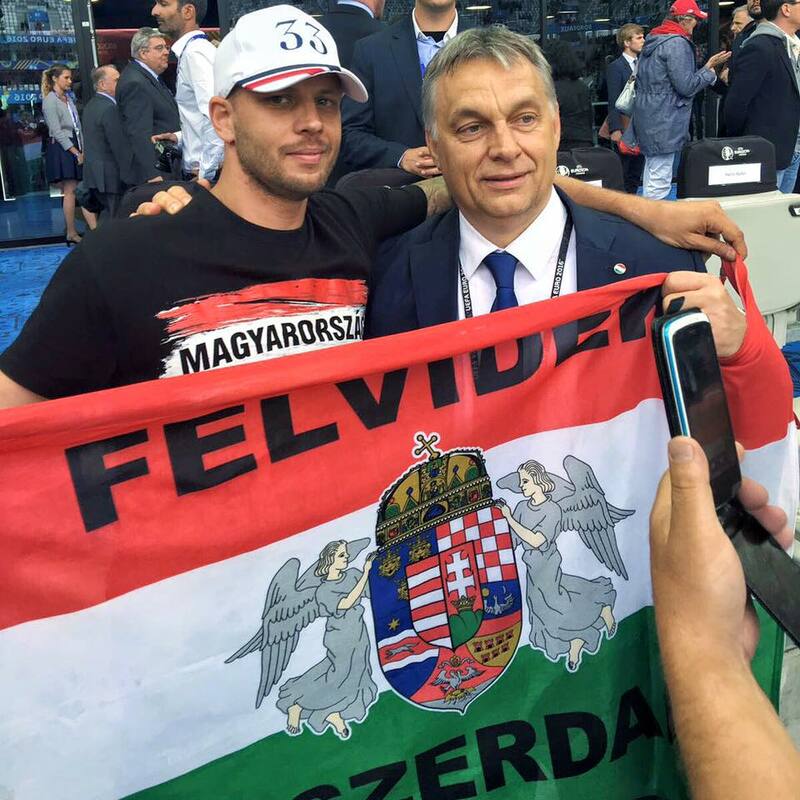 Mr Orban picked up on the recording, vowing to defeat Mr Soros’s 2,000 “mercenaries”. Me and this article, sitting in a tree, L–IN-R-A–EN-G! My wife and i got so ecstatic when Michael managed to finish up his preliminary research through the precious recommendations he had when using the web pages. It is now and again perplexing to just happen to be offering tricks that men and women may have been selling. So we figure out we’ve got the writer to appreciate because of that. All the explanations you made, the straightforward site navigation, the friendships you give support to create – it is most incredible, and it is helping our son in addition to our family imagine that the theme is exciting, which is certainly incredibly pressing. Thank you for everything! Howdy! Someone in my Myspace group shared this site with us so I came to give it a look. I’m definitely enjoying the information. I’m book-marking and will be tweeting this to my followers! Great blog and amazing design and style. Somebody essentially help to make severely posts I’d state. That is the first time I frequented your website page and thus far? I surprised with the analysis you made to create this particular put up incredible. Excellent process! What i don’t realize is actually how you’re now not actually much more smartly-liked than you may be now. You are so intelligent. You know thus considerably in the case of this topic, made me in my opinion imagine it from so many numerous angles. Its like women and men don’t seem to be interested unless it is one thing to accomplish with Girl gaga! Your individual stuffs outstanding. Always handle it up! hi!,I love your writing very so much! percentage we keep up a correspondence extra approximately your article on AOL? I need a specialist on this space to unravel my problem. May be that’s you! Taking a look forward to see you. It’s actually a nice and helpful piece of information. I’m satisfied that you simply shared this helpful information with us. Please stay us informed like this. Thanks for sharing. I am writing to let you be aware of what a outstanding experience my child had visiting your webblog. She figured out so many issues, with the inclusion of how it is like to possess an amazing teaching character to let other people clearly have an understanding of a variety of very confusing subject matter. You truly surpassed people’s expected results. Many thanks for offering these good, trusted, explanatory not to mention unique tips about this topic to Ethel. hello there and thank you for your info – I have definitely picked up anything new from right here. I did however expertise several technical points using this website, since I experienced to reload the site many times previous to I could get it to load correctly. I had been wondering if your web host is OK? Not that I am complaining, but slow loading instances times will often affect your placement in google and can damage your high-quality score if advertising and marketing with Adwords. Well I am adding this RSS to my e-mail and can look out for a lot more of your respective exciting content. Make sure you update this again very soon..
Wow, fantastic blog format! How lengthy have you ever been blogging for? you make running a blog glance easy. The full look of your web site is fantastic, let alone the content material! I will right away grab your rss feed as I can’t in finding your e-mail subscription hyperlink or newsletter service. Do you have any? Please let me recognise in order that I could subscribe. Thanks. Hi, Neat post. There’s a problem with your website in web explorer, may test this?K IE nonetheless is the market leader and a big portion of folks will miss your wonderful writing because of this problem. Its such as you read my mind! You appear to know a lot about this, such as you wrote the e-book in it or something. I feel that you simply can do with some to pressure the message home a bit, but instead of that, that is wonderful blog. An excellent read. I’ll definitely be back. Hi there, I discovered your site by means of Google while searching for a comparable subject, your website came up, it seems to be great. I have bookmarked it in my google bookmarks. Please let me know if you’re looking for a writer for your site. You have some really good articles and I believe I would be a good asset. If you ever want to take some of the load off, I’d absolutely love to write some articles for your blog in exchange for a link back to mine. Please shoot me an e-mail if interested. Thank you! I have been exploring for a little for any high quality articles or weblog posts on this kind of house . Exploring in Yahoo I at last stumbled upon this website. Reading this info So i¦m satisfied to express that I have an incredibly excellent uncanny feeling I discovered just what I needed. I so much without a doubt will make certain to do not forget this web site and give it a look on a relentless basis. Hello! Quick question that’s totally off topic. Do you know how to make your site mobile friendly? My site looks weird when viewing from my apple iphone. I’m trying to find a theme or plugin that might be able to resolve this issue. If you have any suggestions, please share. Appreciate it! Thanks for your marvelous posting! I actually enjoyed reading it, you are a great author.I will always bookmark your blog and will eventually come back at some point. I want to encourage continue your great work, have a nice evening! There are definitely a lot of particulars like that to take into consideration. That could be a nice level to convey up. I offer the thoughts above as common inspiration but clearly there are questions just like the one you bring up the place the most important factor will probably be working in sincere good faith. I don?t know if best practices have emerged round things like that, but I am certain that your job is clearly recognized as a fair game. Both girls and boys really feel the affect of just a moment’s pleasure, for the rest of their lives. Magnificent website. Plenty of useful info here. I’m sending it to a few pals ans also sharing in delicious. And of course, thank you for your effort! Whats Taking place i am new to this, I stumbled upon this I’ve discovered It positively useful and it has helped me out loads. I hope to contribute & assist different customers like its aided me. Good job. Thanks for some other informative site. Where else could I get that type of info written in such an ideal manner? I have a undertaking that I am just now working on, and I have been at the look out for such info. It¦s in point of fact a great and helpful piece of info. I¦m happy that you just shared this helpful info with us. Please keep us up to date like this. Thank you for sharing. Nice post. I was checking constantly this weblog and I’m impressed! Very helpful info specifically the remaining part 🙂 I maintain such information much. I used to be seeking this particular information for a long time. Thanks and good luck. Hi there, just become alert to your weblog via Google, and located that it’s really informative. I am gonna watch out for brussels. I’ll appreciate if you happen to continue this in future. Lots of other folks will probably be benefited out of your writing. Cheers! You actually make it seem so easy with your presentation however I in finding this topic to be really one thing that I think I might by no means understand. It kind of feels too complex and very huge for me. I am having a look forward for your subsequent put up, I¦ll attempt to get the hang of it! Im not sure the place you’re getting your information, however good topic. I must spend a while learning more or working out more. Thank you for magnificent info I used to be looking for this info for my mission. F*ckin¦ amazing issues here. I¦m very happy to see your article. Thank you so much and i’m having a look ahead to touch you. Will you kindly drop me a mail? Thanks for some other informative website. Where else could I get that kind of information written in such an ideal manner? I’ve a venture that I am just now operating on, and I’ve been at the look out for such info. I simply couldn’t go away your website prior to suggesting that I really loved the usual info an individual provide on your guests? Is gonna be again regularly to investigate cross-check new posts. You actually make it seem really easy with your presentation but I find this topic to be really one thing that I believe I might by no means understand. It kind of feels too complex and extremely huge for me. I am having a look ahead in your subsequent post, I’ll try to get the grasp of it! I liked as much as you’ll obtain carried out right here. The sketch is attractive, your authored material stylish. however, you command get got an edginess over that you want be delivering the following. unwell indubitably come further before again as precisely the similar just about a lot continuously inside of case you defend this increase. I believe this site has got some real fantastic info for everyone : D.
Can I simply say what a aid to seek out someone who actually is aware of what theyre speaking about on the internet. You definitely know how one can bring an issue to light and make it important. Extra folks need to learn this and understand this side of the story. I cant consider youre no more common since you definitely have the gift. Helpful information. Fortunate me I found your site accidentally, and I’m surprised why this twist of fate didn’t happened earlier! I bookmarked it. I must show some thanks to this writer for rescuing me from this scenario. Right after looking through the the web and seeing tricks that were not productive, I was thinking my entire life was gone. Existing devoid of the strategies to the issues you have solved by way of the blog post is a crucial case, and the kind which could have badly affected my entire career if I had not discovered the website. Your main talents and kindness in playing with every item was very helpful. I’m not sure what I would’ve done if I hadn’t come upon such a solution like this. I am able to now look forward to my future. Thanks so much for the impressive and results-oriented help. I won’t hesitate to propose your web site to anybody who needs and wants direction about this topic. Hi there, You’ve done a fantastic job. I will definitely digg it and for my part recommend to my friends. I’m confident they’ll be benefited from this site. This is the best blog for anybody who needs to search out out about this topic. You notice a lot its virtually onerous to argue with you (not that I really would want…HaHa). You definitely put a brand new spin on a topic thats been written about for years. Great stuff, simply nice! Real nice pattern and superb content material, very little else we need : D.
I was examining some of your content on this internet site and I conceive this internet site is real informative ! Continue posting. You could definitely see your enthusiasm within the work you write. The sector hopes for even more passionate writers like you who aren’t afraid to say how they believe. All the time follow your heart. “Man is the measure of all things.” by Protagoras. I have been surfing on-line greater than three hours today, but I by no means discovered any attention-grabbing article like yours. It’s pretty value sufficient for me. In my opinion, if all webmasters and bloggers made good content material as you probably did, the net will likely be a lot more useful than ever before. I was looking through some of your posts on this internet site and I believe this site is real instructive! Keep on posting. With every little thing that seems to be developing throughout this particular subject material, many of your viewpoints are generally fairly stimulating. Even so, I am sorry, because I do not subscribe to your entire theory, all be it radical none the less. It seems to everybody that your opinions are generally not completely rationalized and in actuality you are generally your self not really completely certain of the point. In any case I did appreciate reading through it. Hello very nice blog!! Guy .. Beautiful .. Amazing .. I will bookmark your blog and take the feeds additionally…I am happy to find so many useful information here within the put up, we need work out extra techniques on this regard, thank you for sharing. whoah this weblog is magnificent i like reading your articles. Stay up the great paintings! You already know, lots of people are searching around for this information, you could aid them greatly. I genuinely enjoy examining on this web site, it contains great posts. hello!,I like your writing very so much! proportion we be in contact extra approximately your article on AOL? I require a specialist on this area to solve my problem. Maybe that’s you! Looking ahead to see you. Please let me know if you’re looking for a article author for your site. You have some really good posts and I feel I would be a good asset. If you ever want to take some of the load off, I’d love to write some material for your blog in exchange for a link back to mine. Please blast me an email if interested. Thanks! Great goods from you, man. I have understand your stuff previous to and you are just too fantastic. I actually like what you’ve acquired here, certainly like what you are stating and the way in which you say it. You make it entertaining and you still take care of to keep it sensible. I can’t wait to read much more from you. This is actually a wonderful website. Throughout this grand scheme of things you receive an A for hard work. Where you actually lost me was on all the specifics. As it is said, details make or break the argument.. And it couldn’t be more true at this point. Having said that, let me reveal to you just what exactly did do the job. The article (parts of it) is certainly rather powerful which is probably the reason why I am making an effort to comment. I do not really make it a regular habit of doing that. Secondly, although I can see a leaps in logic you make, I am not necessarily convinced of how you seem to connect your details which in turn produce the actual final result. For the moment I shall yield to your issue however hope in the foreseeable future you connect the dots much better. Pretty component of content. I simply stumbled upon your blog and in accession capital to claim that I acquire actually enjoyed account your weblog posts. Anyway I’ll be subscribing in your augment and even I fulfillment you get admission to consistently fast. What’s Going down i’m new to this, I stumbled upon this I have found It positively useful and it has aided me out loads. I am hoping to contribute & help different users like its helped me. Good job. Hi, Neat post. There is a problem with your website in internet explorer, would test thisK IE nonetheless is the marketplace chief and a good component of other folks will omit your fantastic writing because of this problem. I’ll right away seize your rss as I can not find your e-mail subscription link or e-newsletter service. Do you have any? Please let me realize so that I may subscribe. Thanks. Great post, I believe blog owners should learn a lot from this web site its real user pleasant. Great amazing issues here. I am very glad to see your post. Thanks a lot and i am looking forward to touch you. Will you please drop me a e-mail? An impressive share, I just given this onto a colleague who was doing a little bit evaluation on this. And he actually purchased me breakfast as a result of I found it for him.. smile. So let me reword that: Thnx for the treat! But yeah Thnkx for spending the time to discuss this, I feel strongly about it and love studying more on this topic. If doable, as you develop into expertise, would you mind updating your blog with extra details? It’s extremely helpful for me. Massive thumb up for this blog publish! Some truly tremendous work on behalf of the owner of this web site, utterly great written content. Great ?V I should definitely pronounce, impressed with your web site. I had no trouble navigating through all tabs as well as related info ended up being truly easy to do to access. I recently found what I hoped for before you know it in the least. Reasonably unusual. Is likely to appreciate it for those who add forums or anything, web site theme . a tones way for your customer to communicate. Excellent task.. Thanks for sharing excellent informations. Your web site is so cool. I am impressed by the details that you have on this website. It reveals how nicely you understand this subject. Bookmarked this website page, will come back for extra articles. You, my friend, ROCK! I found just the information I already searched all over the place and just couldn’t come across. What a great website. I believe this site has got some really wonderful information for everyone :D. “Years wrinkle the skin, but to give up enthusiasm wrinkles the soul.” by Samuel Ullman. Thank you, I’ve recently been searching for information about this topic for ages and yours is the best I’ve came upon till now. But, what concerning the conclusion? Are you positive about the supply? I was recommended this website by my cousin. I am not sure whether this submit is written by means of him as nobody else recognize such special approximately my trouble. You’re amazing! Thanks! Thank you for sharing superb informations. Your web-site is so cool. I am impressed by the details that you’ve on this website. It reveals how nicely you understand this subject. Bookmarked this web page, will come back for extra articles. You, my pal, ROCK! I found just the information I already searched all over the place and just could not come across. What a great web-site. Hey! Quick question that’s entirely off topic. Do you know how to make your site mobile friendly? My site looks weird when viewing from my iphone 4. I’m trying to find a theme or plugin that might be able to correct this problem. If you have any recommendations, please share. Cheers! Hiya, I’m really glad I’ve found this info. Today bloggers publish just about gossips and internet and this is really frustrating. A good website with interesting content, that’s what I need. Thanks for keeping this website, I will be visiting it. Do you do newsletters? Cant find it. Thank you for the auspicious writeup. It in reality used to be a enjoyment account it. Glance complicated to more brought agreeable from you! However, how can we communicate? Very great post. I simply stumbled upon your weblog and wished to say that I’ve truly enjoyed browsing your weblog posts. In any case I’ll be subscribing for your rss feed and I am hoping you write once more very soon! A person essentially help to make seriously posts I would state. This is the very first time I frequented your web page and thus far? I amazed with the analysis you made to create this actual post extraordinary. Magnificent job! As I website owner I conceive the content material here is very wonderful, regards for your efforts. I simply wished to say thanks once again. I’m not certain the things I could possibly have achieved without these basics contributed by you relating to this subject. It truly was a very troublesome circumstance in my circumstances, but viewing this specialized technique you processed the issue made me to jump for happiness. I will be happier for your service as well as wish you find out what a powerful job that you are doing educating people today with the aid of a site. I am sure you haven’t encountered all of us. I’m impressed, I have to say. Really hardly ever do I encounter a blog that’s each educative and entertaining, and let me let you know, you will have hit the nail on the head. Your idea is outstanding; the difficulty is one thing that not enough persons are talking intelligently about. I’m very pleased that I stumbled across this in my seek for one thing relating to this. Thank you, I have just been searching for information about this subject for a while and yours is the greatest I have found out till now. However, what in regards to the conclusion? Are you positive about the supply? I’m impressed, I need to say. Really not often do I encounter a blog that’s each educative and entertaining, and let me let you know, you have hit the nail on the head. Your thought is outstanding; the issue is one thing that not sufficient people are speaking intelligently about. I’m very blissful that I stumbled throughout this in my seek for something relating to this. F*ckin’ remarkable issues here. I am very satisfied to see your article. Thank you so much and i’m looking forward to contact you. Will you please drop me a e-mail? Hello There. I discovered your weblog the usage of msn. This is an extremely smartly written article. I will be sure to bookmark it and come back to learn extra of your helpful information. Thanks for the post. I’ll definitely return. It?¦s actually a nice and helpful piece of information. I?¦m glad that you just shared this helpful info with us. Please stay us up to date like this. Thanks for sharing.